High spec X-Yachts, Xp38 in superb condition. 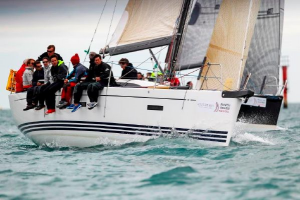 Race ready and complete with Elvstrom and Incidences sails along with a set of cruising sails. Boasts carbon rig and boom, carbon bow sprit, high spec B&G electrics package and upgraded 39Hp Yanmar engine. The owner has kept this Xp38 in excellent condition, using professional maintenance. Viewing is highly recommended if you are looking for new race boat for this coming season, all tried and tested, EU VAT paid so it is ready to go. A truly versatile performance yacht that is fun to sail round the cans, compete in the offshore series or take a cruise. Contemporary and comfortable below deck and an easy sail plan makes for an enjoyable fast cruiser.